A group of 13 scientists hoping to perform experiments onsuborbital spaceships took a dizzying spin in a centrifuge this week in thefirst-ever commercial training session targeted at civilian researchers. The training program, run by the National Aerospace Trainingand Research (NASTAR) Center, was aimed at preparing civilian scientists to conductresearch in microgravity during short space trips. The program focused on suborbitalflights, which are short voyages that reach space, but then come back downto Earth before completing one full orbit around the planet. The two-day training course, which took place at the NASTARfacility outside Philadelphia, included altitude chamber and centrifuge runs tosimulate the physical rigors of launch and reentry, as well as classroomcourses on the commercialspaceflight industry and conducting research in space. The centrifuge runswere webcast live by Spaceref.com. ?I?m ready, light it up,? said Alan Stern, a planetaryscientist at the Southwest Research Institute in Boulder, Colo., who helpedorganize the class. A short time later, he was pulling more than 3 Gs in thecentrifuge. ?Oh baby, this is great.? The scientist trainees hailed from many institutions,including MIT, Boston University, the Denver Museum of Natural Sciences, theJohns Hopkins University Applied Physics Laboratory, the University of CentralFlorida and the University Space Research Association. At least one commercial spaceflight company has expressed aninterest in hosting scientists on suborbital research flights. The spacetourism firm Virgin Galactic, founded by British billionaire Sir RichardBranson, is developing a fleet of SpaceShipTwo spacecraft to launch up to sixpassengers and two pilots to suborbital space. The SpaceShipTwo vehicle?sair-based carrier craft ? a twin boom aircraft called WhiteKnightTwo ? could alsoserve as a platform for microgravity research, company officials have said. NASA regularly uses a modified jet to recreate microgravityconditions by flying parabolic arcs in the sky. The commercial company Zero G doesthe same using modified private, aircraft. "The comingera of commercial suborbital spaceflight offers tremendous potential forthe research and education communities," said co-organizer Dan Durda, alsoof the Southwest Research Institute. 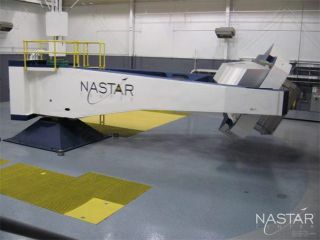 "The NASTAR SuborbitalScientist-Astronaut Course will provide us with important additions to ourprevious experience in high-performance aircraft, as well as valuable new trainingspecifically aimed at getting us ready for suborbital spaceflight. Asresearchers working in a challenging, dynamic environment like that, it'simportant to be well-prepared to make efficient use of the experiment timeavailable to us in flight."